Darshan is a Sanskrit word that means vision or view and is most commonly used in the context of Hindu worship. It can also be defined as an apparition, or a glimpse. 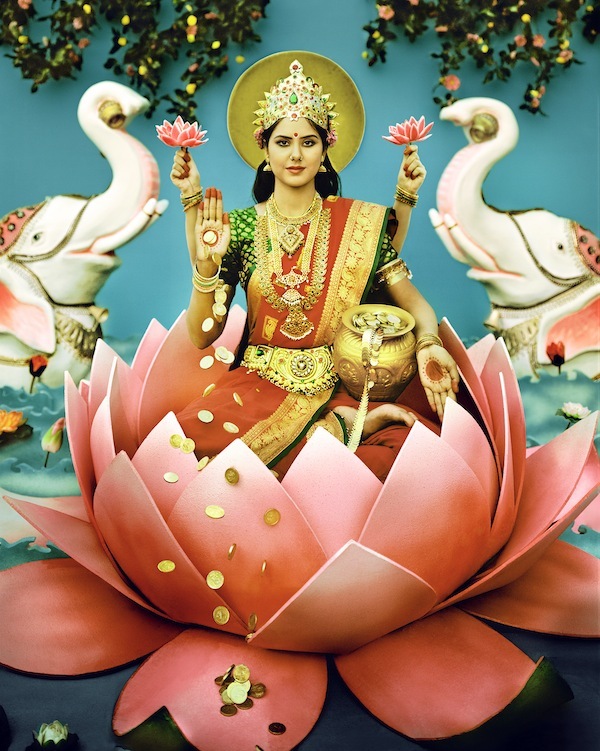 One may seek and receive the darshan of a deity and upon sight that Darshan may invoke an immediate connection between that deity and the devotee. A Darshan can ultimately be described as an experience purposed on helping one focus and call out to his or her sense of spirituality. I grew up in a Hindu home to parents who were quite religious. Visiting countless temples was a common practice to us. I moved from India to the U.S.A to pursue a degree in fine art photography. This move precipitated an enormous cultural shift and the frequency with which I visited Hindu temples was gradually replaced with frequent trips to museums and art galleries. To me, the museum, where creativity in all mediums was placed on a pedestal, heavily mirrored the experience of a Hindu temple. Hopes and aspirations drove countless people to the Museum where they would line up and wait to experience a darshan of an artist’s works. Most Hindus have seen painting and sculpture used to illustrate deities, but rarely photography. The idea of the museum as a temple and the lack of photographic depiction in Hindu mythology is what compelled the birth of this series. 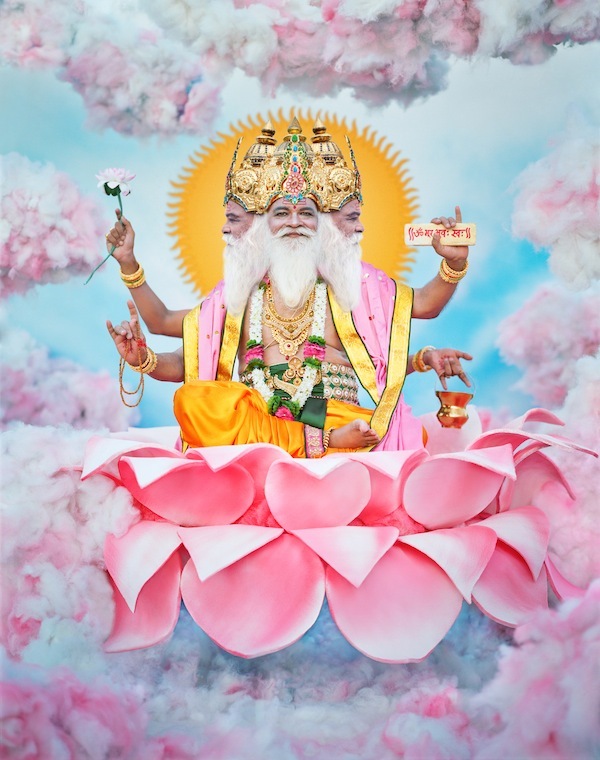 Darshan is a fine art series that aims to photographically recreate nine classical images of Gods and Goddesses pivotal to mythological stories in Hinduism. My vision for this work is to have the reproductions that measure six feet tall. 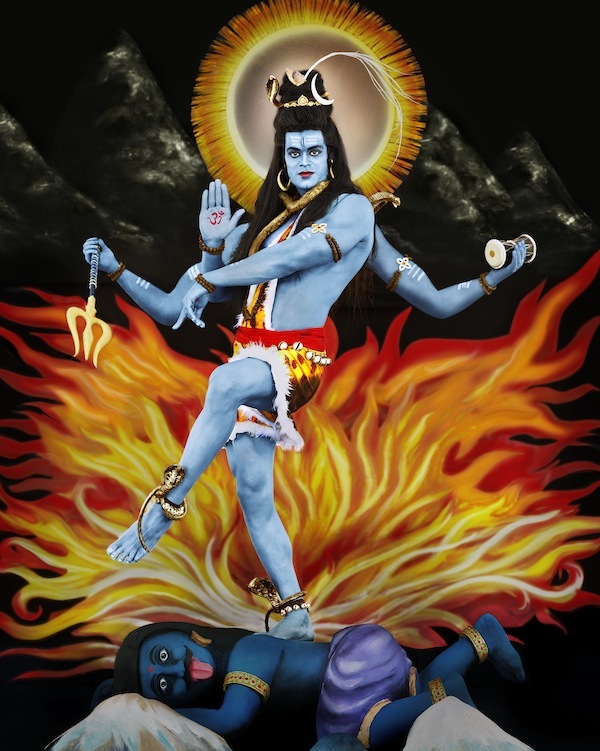 The final presentation of this work would resultantly be a six foot print installation in a museum that closely mimics the experience of a Hindu temple, complete with incense, lamps and invocations. Manjari Sharma lives and works in Brooklyn, NY. To view more of Manjari's work, please visit her website.